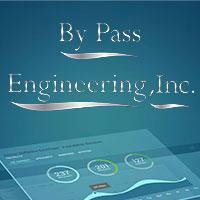 About By Pass Engineering, Inc.
Consumers expect "useful" content in the form of: videos, articles, eBooks, card stacks, infographics... that cater to their specific interests and needs for information; and, they want this long before a brand executes their why-to-buy pitch. We can help get your business up and running quickly! Since 1990 we've assisted small businesses and large organisations to achieve exceptional online presence and successful marketing strategies; while being mindful of budget and critical timelines. We address your specific business needs... from ecommerce, to brand identity, from marketing strategies, to optimizing User Experiences (UX), customer journey mapping, and everything in-between... by leveraging the best tools, technologies and talent for each job. All websites are mobile-friendly, natively responsive on any platform, screen size or orientation. All website code and meta tags are setup to be Search Engine friendly as we build; to maximize your organic web traffic and rank well quickly in Search Engine Results Pages (SERP). We develop custom applications using a combination of industry-standard and application specific tools. We are a talented, agile group of independent contractors. This keeps our costs and your fees low. We provide custom step-by-step documentation and training to support your Internet business.